ℹ Proper nutrition and weight loss are both hot topics in society today. It is important to be aware that weight loss does not necessarily translate into proper nutrition. Many individuals believe that in order to lose weight, one must eliminate fat from the diet. Unfortunately, this can be very harmful to the body as certain types of fats are critical to proper function of the body. These beneficial fats are known as Essential Fatty Acids (EFAs). They are essential because your body cannot produce them on its own so they must come from your diet. Regulation of blood clotting: Omega-6 FAs encourage blood clot formation, whereas Omega-3 oil reduces clotting. The EPA and DHA contribute to maintenance of normal brain and heart function, and to normal eyesight function. Vitamin E contributes to the protection of cells from oxidative stress. The beneficial effects are obtained with a daily intake of 250 mg of DHA and EPA. The proper ratio between omega-3, omega-6 and omega-9 is one of the key principle of healthy diet. That is why in Blade OMEGA 3-6-9, we used high-quality cold pressed olis: fish oil, flaxseed oil and sunflower seed oil. 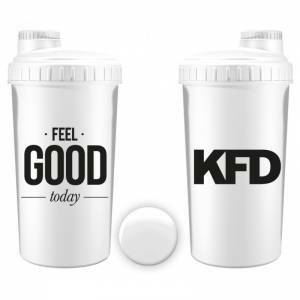 KFD MCT is a concentrated medium chain fatty acid source. Unlike long chain fatty acids, MCT is absorbed and absorbed more quickly, MCT is readily absorbed from the gastrointestinal tract, metabolised in the liver, and promotes energy production. Give yourself the benefits of “good fats” with Natrol® Omega-3. With 1,200 mg of healthy, purified fish oil, you can provide your body with a healthy balance of the nutrients your body needs to support eye, heart and bone health. CLA (conjugated linoleic acid) is an important fatty acid, from the omega 6 family, which is present in some dairy products, like full-fat milk, and in some vegetable sources, like the safflower plant. CLA is commonly used by athletes and dieters as a supplement for aiding fat burning. This fatty acid is widely known as an effective ally through weight loss processes, especially when combined with training routines and healthy eating habits.